My husband loves to work on trucks, cars, tractors, and other greasy things. 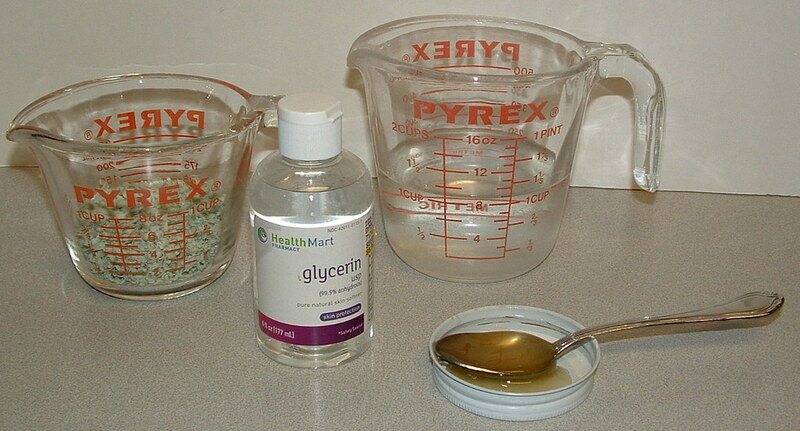 I have been making our own soaps but he needed something more stronger and thus I created what I call manly soap. I used a Lava soap bar to make this homemade recipe. Lava soap contains pumice which is the important ingredient in this soap that can really cut the grease on your hands. 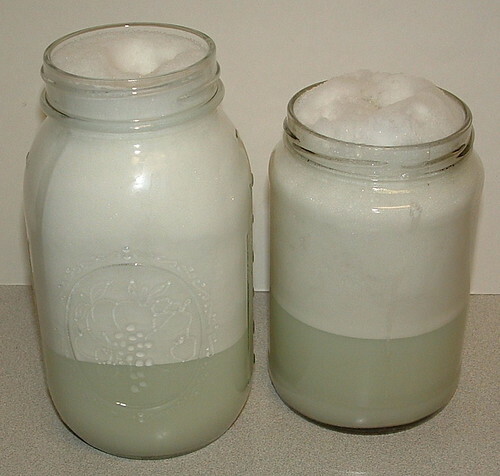 For those who have been making your own soap, this is just a little more aggressive soap to fight the grease and grim on your hands when you have been working on vehicles and farm equipment. 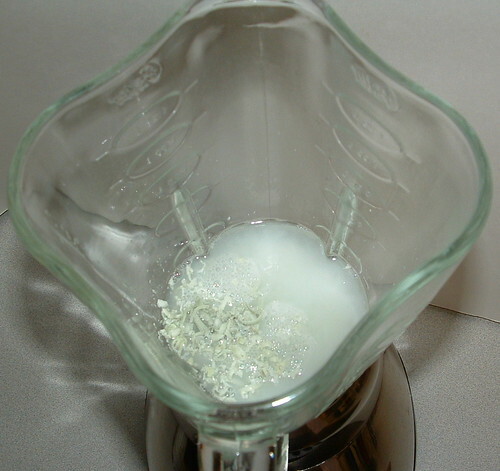 Put all ingredients listed above in a blender. 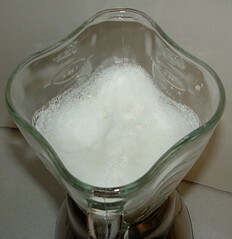 Mix the ingredients in the blender on whip for about 15 seconds. Next add one more cup of hot water and blend again for 15 seconds or so. Pour into jars to settle. I used one more cup of hot water to rinse down the blender and to get out the last bits of soap. Pour leftover mixture into your jars and as it settles you will have extra room. 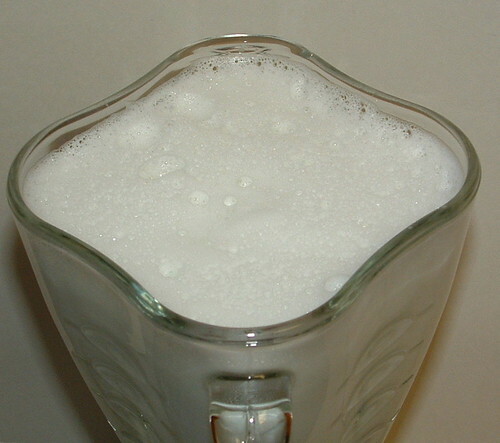 At first the jars are full but the foam settles in a few minutes. Cover and shake the jars well to mix the soap mixture up. Let it sit overnight. 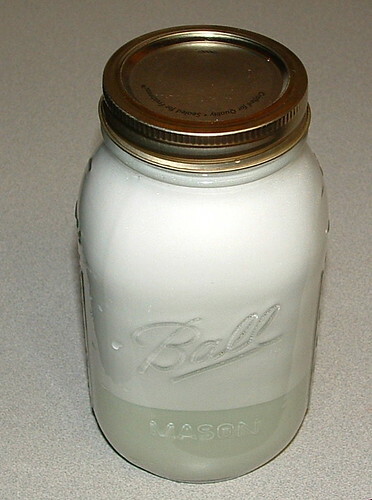 Shake jar again and then pour it into your soap dispenser. This soap mixture does settle a bit over time. Just shake your dispenser as needed to mix up the soap. My mother had a late 1930’s Waring Blender. 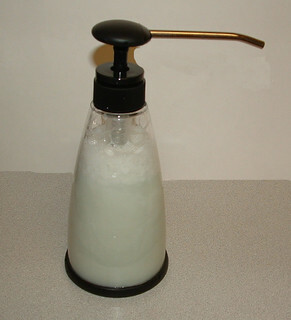 I remember reading the “cookbook” and it talked about making homemade liquid soap. Great idea. I really love that soap dispenser.